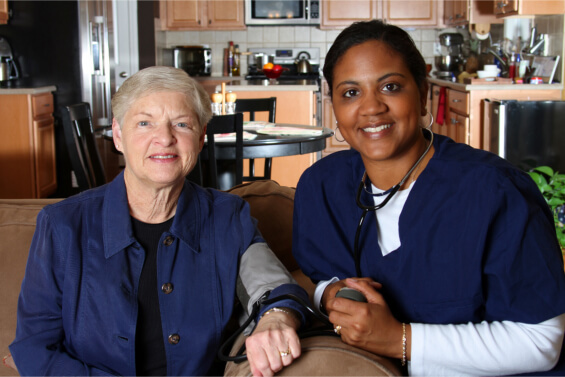 In-home elderly care may be a service that you have heard of before. However, what is this service and how can it help you live a better life today? When you enter an advanced age your routine may become noticeably tougher to do. Cleaning the house takes longer, you get exhausted quicker doing your daily errands, and you just feel like you do not have the strength to continue doing the things you used to do. This is where a home care service can help you. Here are some of the senior home care services in Georgia that you can expect when you choose Abundant Life Assisted Services to help you in the comfort of home! Our homemaking service is a service that can really make life easier for you. We know how difficult it can be to handle all of your chores every day. These chores can really leave you with no time or energy to pursue your passions or do the things you love, but through our homemaking services you can keep on living life on your own terms. We will actually do your chores and daily tasks for you, this can include cooking, running errands, grocery shopping, keeping the home clean, and much more. Another service that we offer to you is our personal care services. This is a service that can be hard to get because it can feel embarrassing needing the help of someone else just for the basics. However, there is no shame in getting the assistance you need to maintain your independence. Our personal care services include bathroom assistance, personal hygiene assistance, helping you get dressed, and more. Allow us to give you the hand you need to make life less stressful. Our companionship services ensure that you have a professional and compassionate caregiver watching over you 24/7. However, they can do more than just make sure you are getting the support you need because if you want, they will become your friend. They can do just about anything with you from playing games to even accompanying you if you feel the need to go on a shopping trip. Home care services can help you in many ways when you are a senior citizen. When you feel like life is getting too tough, allow us to provide you the assistance you need. Our website is www.alascare.com if you would like to find out more about how we can help you and about the many personalized services we have available to you. Our number is 678-319-0307 if you have any questions for us. Stop struggling with the small things, because we are only a phone call away. This entry was posted in Home Care and tagged Elderly Care, Health, Home Health. Bookmark the permalink.